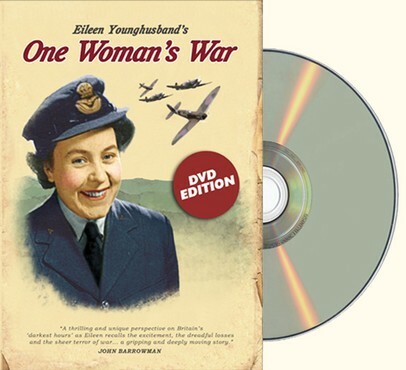 Following the success of Eileen Younghusband’s book One Woman’s War, a DVD version of her inspirational story has been produced. At just eighteen years old, Eileen joined the Women’s Auxiliary Air Force (WAAF). She quickly demonstrated her keen intellect and mathematical skills, playing a crucial role in Fighter Command's underground Filter Room. Working gruelling shifts under enormous pressure she and her companions worked tirelessly, tracking the swarms of enemy aircraft that sought to break the British resolve. She even had the dubious honour of detecting the first of Hitler's devastating V2 rockets as it fell on an unsuspecting London. At ninety-one years of age, Eileen talks us through her fascinating journey, accompanied by exclusive video clips and photographs.